Well I know that one of my followers may not like the image that I chose this week but when I saw it I immediately had an idea and miraculously managed to remember it. Wish I could remember all the things my boss asks me to do as easily...or maybe not. 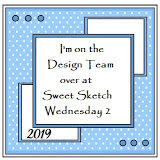 Our sponsor over at Sweet Sketch Wednesday 2 this week is Patties Creations who is offering our lucky winner 2 free images. I flipped the sketch and here is what I did with it. Vellum and purple card have been on the shelves for a while. Ribbon is from the jar - a whole 9 inches! Butterfly image printed 3 times and raised up with pinflair. 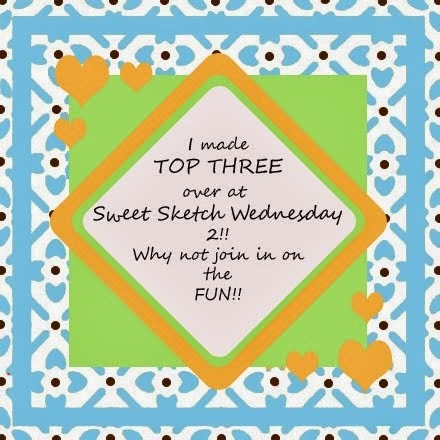 Thank you for visiting and please hop over to the Sweet Sketch Wednesday 2 blog and see the gorgeous creations my team mates have designed. When I first saw your card I thought, "Wow, this is stunning, but where is the image?" and then I realized what you had done. UH-mazing! You are soo clever. Totally stealing this idea. THUD!! I'm speechless on how beautiful this card is!!!! And believe me, that rarely happens, me being speechless. You are definitely creative with this one. Gorgeous colours and papers on this lovely card and great die cut branches. Anne your card is totally stunning you rocked it this week. 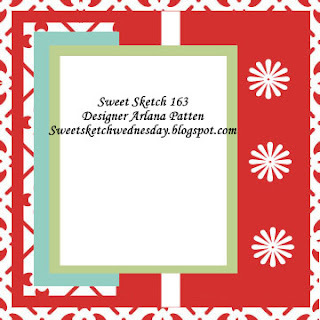 When I first saw your card I thought what image did she use and then I realized your brilliance it looks totally amazing and your colours and wonderful embellishments are perfect. I guess you didn't use ribbon in the inside with only 9 inches of it. Just sometimes I've tried to stretch it as I need a centimetre more which doesn't happen or realised I had the most perfect ribbon for a card and when I've taken off the spool I don't even have enough for a card and thought I had more on the spool. I love your card this week it's yummy. Absolutely GORGEOUS!! What a wonderful idea - Beautiful papers and you have totally brought those butterflies to life!! Perfect card!! Blessings and hugs to you Anne!! I don't even drink coffee !! !